Welcome to Vinos de Frutas Tropicales, where I specialize in Zen Cart customizations. My name is Cindy Merkin — I've been developing software for Zen Cart for the past 10 years and am an avid problem-solver. Let me help you to get the most out of your Zen Cart! I can help you install a new or upgrade an existing Zen Cart. If your site needs something special, I can provide you with some custom programming to implement your vision. When your site's not working properly, I can diagnose and correct the problem. It all starts with a quote; let me know your website's name and give me some details about the job you'd like quoted and I'll get right back with you. 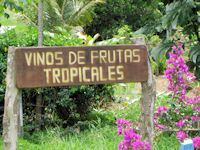 I've also got a variety of Zen Cart Plugins that I've either authored or contributed to available for download at Vinos de Frutas Tropicales. The majority of them are available for free download and, for a small fee, I can install them for you. If you purchase one of my premium plugins, rest assured, you're receiving the full source-code in that plugin's zip-file.